Sometimes your prospects may book a meeting with you (from a link in a sequence) without replying to your emails. In this case, you will want to stop the sequence automatically. 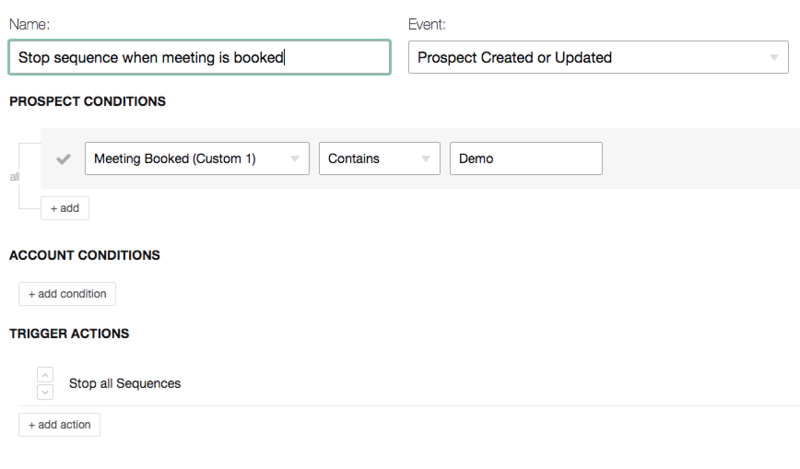 Make sure you have added the meeting type field on the Contact/Lead object in Salesforce per instructions here. Map this field for your prospects in Outreach. Create a new trigger in Outreach that stops the sequence for your meeting type.